Activate the full potential of your skin with this prebiotic, revitalizing, renewing treatment designed to counter the effects of modern pollution and stress: a detoxifying ritual that leaves your skin healthy, luminous and protected due to its enveloping massage techniques and its highly effective ingredients that purify, fortify and repair. 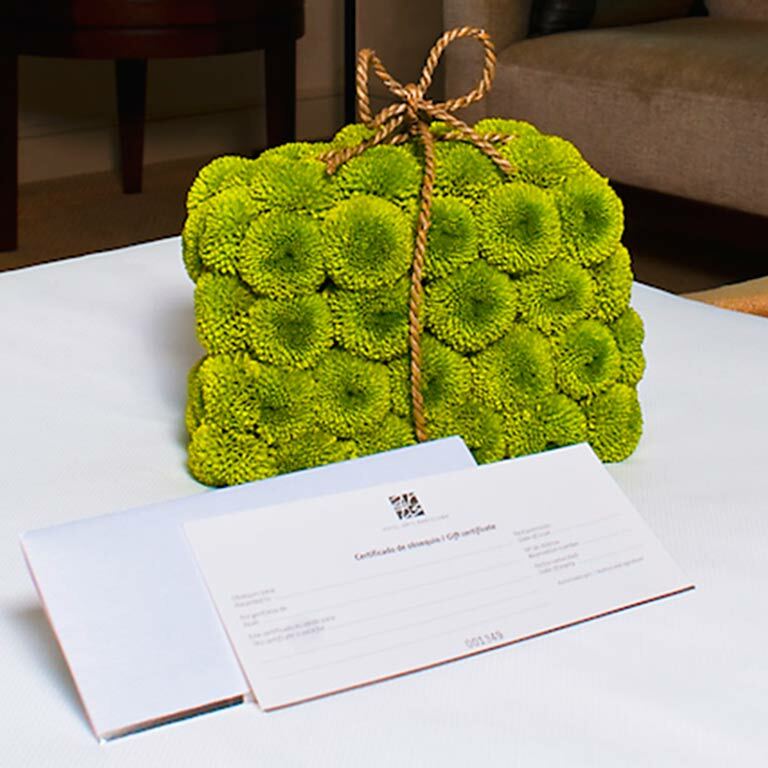 At Hotel Arts, we offer you the option of a Gift Voucher so that you can reward whomever you desire with this unforgettable experience. For reservations of more than 3 people, leave your contact information and a member of 43 The Spa will contact you to manage your reservation. Are you currently staying at the hotel? Thank you for your reservation request at 43 The Spa. No charge for cancellations made at least 24h prior. 50% charge from 24h to 12h prior. 100% charge less than 12h prior. Please arrive 10 minutes prior to the treatment. Tardiness will be subtracted from the treatment time. To enjoy the water zone before your treatment, it is recommended to show up 50 minutes prior. Minors between 14 and 18 years of age must be accompanied by an adult. Prior to the treatment, please inform us of any cardiovascular problems, epilepsy, diabetes, asthma, high or low blood pressure, or pregnancy. Mandatory use of swimsuit or towel. The spa provides towels, bathrobes and disposable slippers.